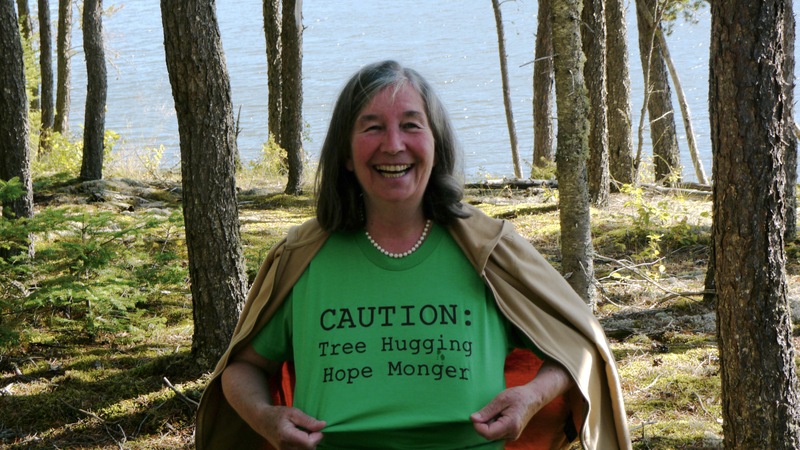 This documentary features amazing local author and environmental scientist Diana Beresford-Kroeger and her journeys to explore and share the history, legacy and contributions of ancient northern forests, and our connection to them. 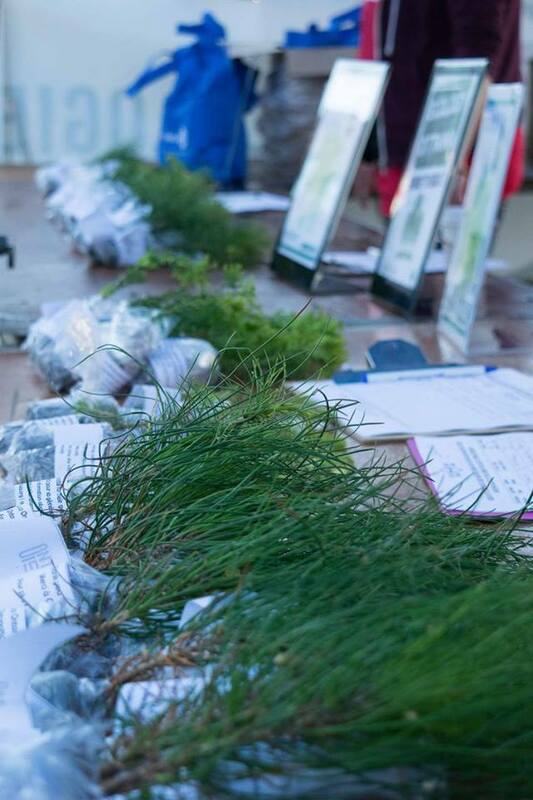 She also examines native species, how to plant them and the medicinal and ecological benefits they provide. Call of the Forest – The Forgotten Wisdom of Trees is on at the ByTowne Cinema; see their website for times. Carleton Climate Commons Working Group presents this talk by Dr. Etienne Turpin on urban ecologies, human understandings of nature and much more (see the website for details). At Carleton University, 132 Azrieli Pavilion from 3-4:30 p.m.
​Bea Johnson’s zero waste lifestyle launched a movement on living waste-free. The creator of Zero Waste Home will be speaking at this session hosted by NU Grocery—Ottawa’s first zero waste grocery store—in collaboration with city councillors David Chernushenko, Catherine McKenney, Jeff Leiper, Mathieu Fleury and Tobi Nussbaum, EnviroCentre and EcoLead. At First Baptist Church, 7-9:30 p.m. See Eventbrite for details. Canadian Organic Growers Ottawa – St. Lawrence – Outaouais (COG-OSO) presents its spring series of seminars on growing organic vegetables, herbs and edible flowers. Topics include getting started, healthy soils, in-ground and container gardening, pest management, vertical gardening and more–you can sign up for one seminar, or the whole series. At City Hall, 7-9 p.m. Tuesdays and Thursdays. See the schedule and registration information on the COG-OSO website. 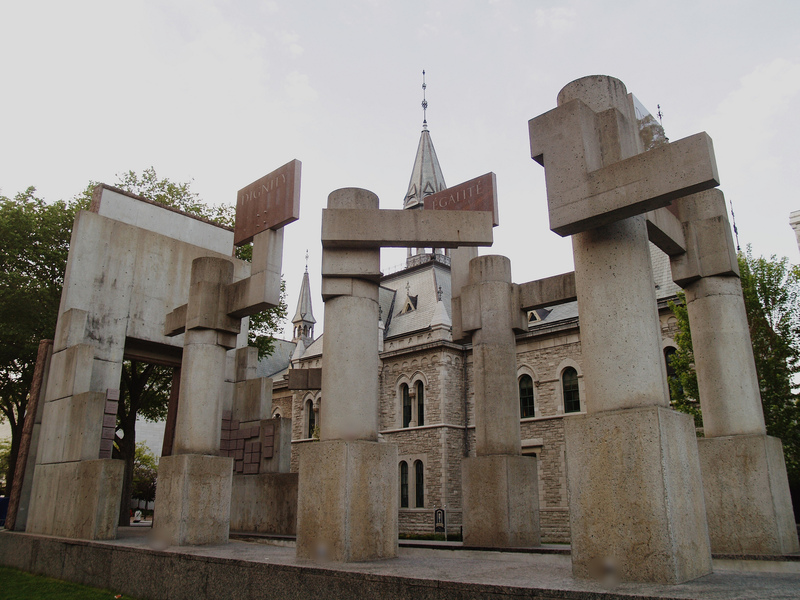 Guest post written by Katherine Forster at the Ottawa Chapter of Faith & The Common Good. Part of a series contributed by Kathryn Norman at Sustainable Eastern Ontario. 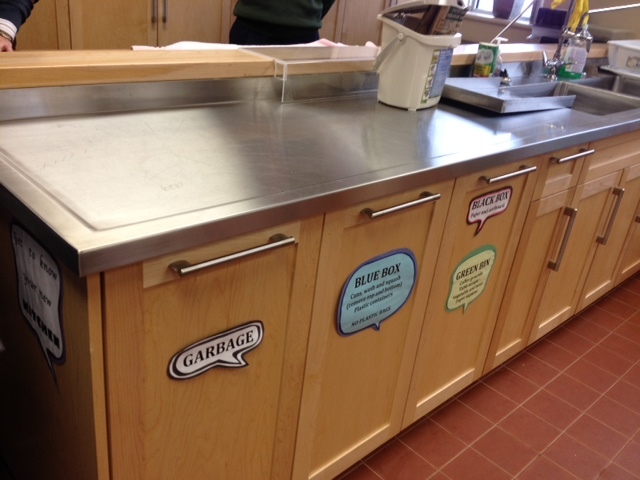 Clear signage that helps improve waste diversion in a communal space – example from Emmanuel United Church, the first LEED certified church in Ottawa. Photo by Kathryn Norman. Climate change has been an important topic in the first year of the Liberal’s government. New programs and subsidies are being rolled out that will help support Canadians to lower greenhouse gas emissions but are they enough? Many faith communities have shared their concerns with the government and were also present at the COP 21 talks in Paris, France. Is there more that can be done, beyond lobbying the government and trying to encourage change at the federal level? If faith communities want to do more, what can they do? Faith & The Common Good has been trying to help with those questions over the past ten years by offering programs to aid faith communities in looking at their own buildings and practices to be able to make changes to offset carbon themselves and lead by example. Faith & The Common Good has tools and resources to help interested parties to start making a difference in terms of environmental efficiencies and sustainability. 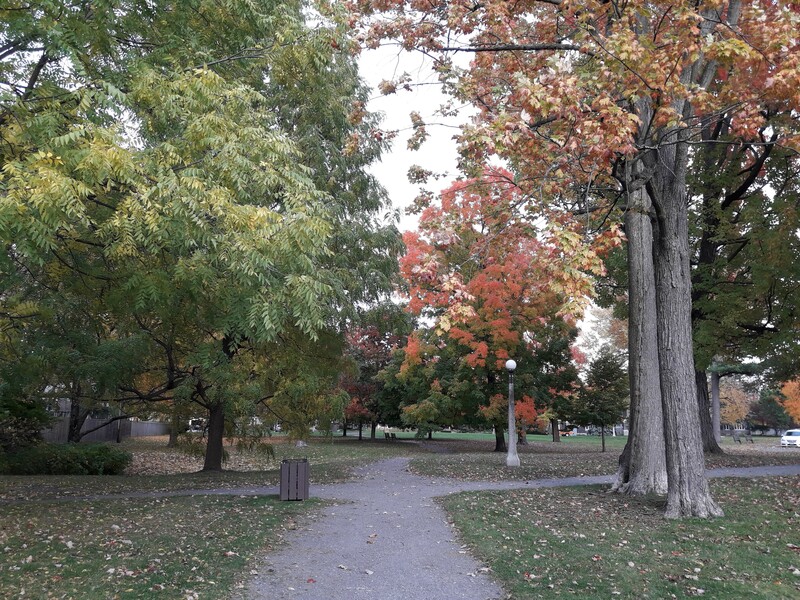 A new program that has come to the Ottawa Chapter of Faith and the Common Good is the Greening Sacred Spaces Certification program. The Greening Sacred Spaces Certification program recognizes, celebrates and motivates faith communities who demonstrate commitment in the care of the environment through action. This program helps you celebrate when you’ve accomplished a certain number of tasks and it provides ideas of how to keep moving forward in your greening efforts. It is a series of checklists that help identify specific tasks that can be taken on and once 10 or more tasks have been completed, a certificate is issued to celebrate the faith community’s success! It’s a tool that can help give those who are working to improve their building and property that extra boost! The congregation starts at the Light Green status and then moves on to Medium Green and then Deep Green. Light Green Certification costs $25 (which includes a mailed certificate). Each certification level has a corresponding list of possible actions in various categories (i.e. Community, Energy, and Water). The faith community is eligible to apply for Certification once they have completed a minimum of 10 greening actions in Light Green, Medium Green or Deep Green. What’s great about the program is that it offers simple ideas that can make a difference in the energy use and sustainability of a faith community. And it shows how to add increasingly more intensive activities as the community gets more well-versed in their environmental options. It’s a great list to review once a year to help indicate what further actions can be done. And there’s no time table so communities can work at the list at their own pace. A total of 28 possible actions for the Light Green Certification can be found here. Faith communities can help lead the way and be great allies for those in the environmental movement. They represent a variety of people and cultures and many are interested in helping move forward the efforts of both their communities and the country. Please contact Katherine Forster (kforster@faithcommongood.org) at the Ottawa Chapter of Faith & The Common Good if you have any questions or want more information. 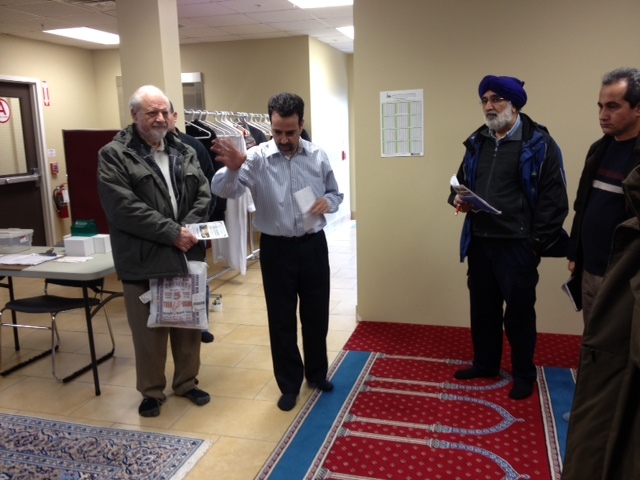 Congregational members involved in the energy efficient design of the Masjid Bilal mosque in Orleans explain its features to an interfaith group on a bus tour organized by Faith & the Common Good. Photo by Kathryn Norman. Agencies in Ottawa are co-ordinating to collect clothes and household items in good shape for refugees and residents in need. Councillor Rick Chiarelli has posted a handy map here of drop-off locations and links for Ottawa Neighbourhood Services, the Salvation Army, St. Vincent de Paul and other organizations. Helping With Furniture collects used furniture and household goods from certain parts of the city for delivery to refugee families. See details here. Matthew House operates a Furniture Bank for people in need. Organizations such as the Ottawa Mission and Cornerstone that provide shelter and services to people sometimes accept clothing and personal items, but check first to see what they need. Dress for Success and Suits His Style provide professional work clothing to women and men who are economically disadvantaged. 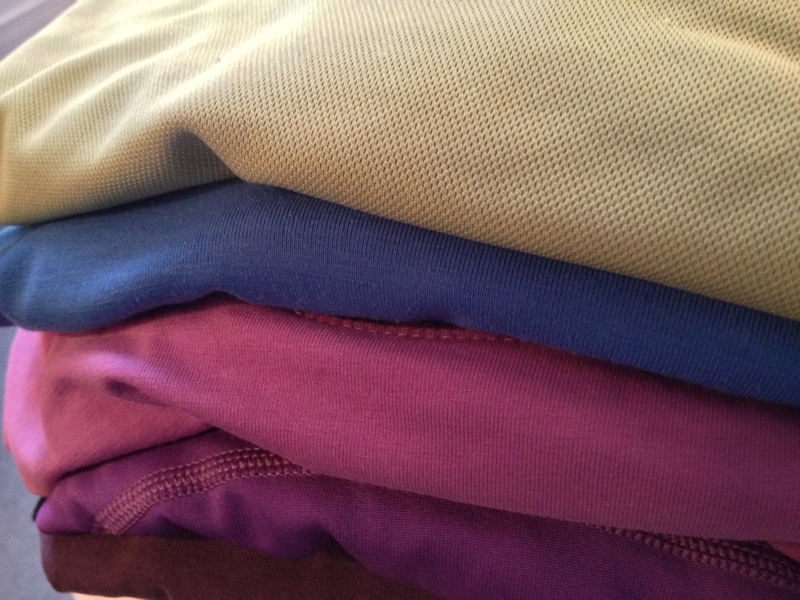 Clothing and other donations to the Youville Centre go to young mothers and their children. The Snowsuit Fund makes winter jackets, mitts and other outerwear available to kids who need them. Habitat for Humanity’s ReStore accepts furniture and e-waste. 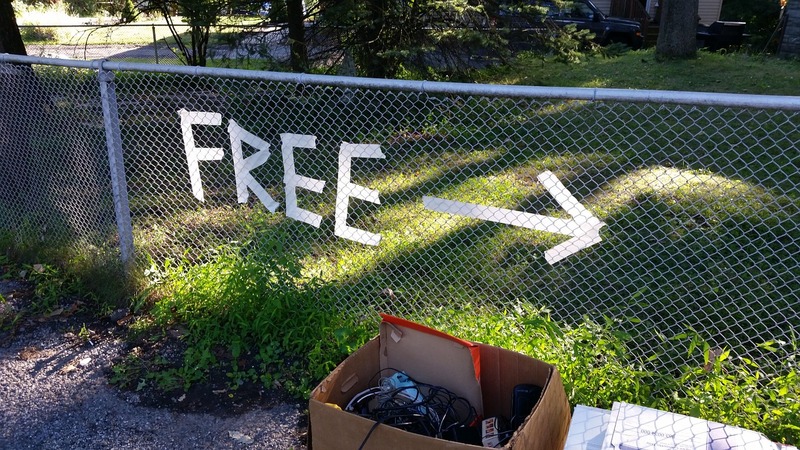 Alternatively, take your e-waste to EnviroCentre or another official centre or event near you. You can consult the City of Ottawa’s Take It Back program to find out where to recycle or discard used clothes, household goods, electronics, hazardous materials and other things, or use their “Waste Explorer” to search for where to take a specific item. There are lots of donation boxes around the city, but if you use them make sure they belong to a legitimate charity. Remember to recycle only things in good condition that someone else will want—don’t use these services as a way to get rid of junk. Recycling used items is good, but it’s also good to donate cash (or volunteer) for causes you care about, and/or groups helping people stay out of poverty and conflict in the first place.